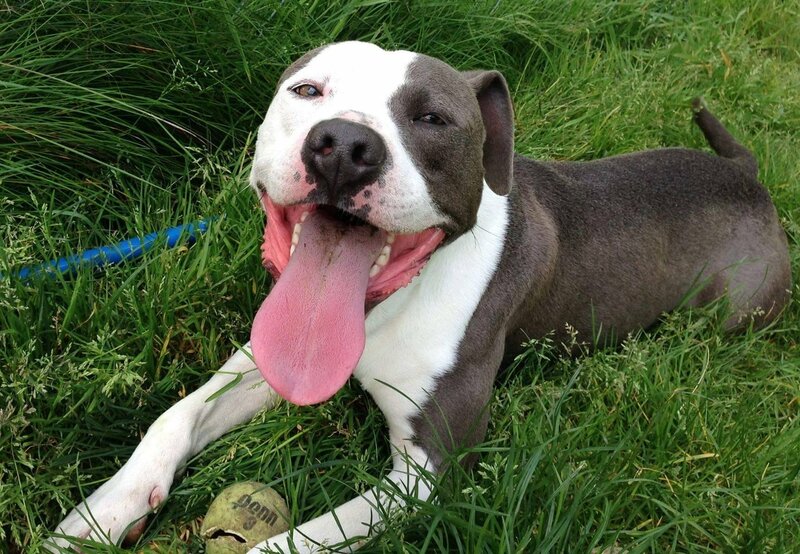 While Dewey’s dream life would be to live in a tennis ball factory, he’s been in our shelter since last winter. This handsome four year old is young and spunky and raring to go. He has incredible enthusiasm for life and will need a home with people who can match that enthusiasm. Dewey usually waits anxiously but quietly at the front of his kennel for his chance to get out with us and his beloved tennis balls; he’s currently trying for a record of four in his mouth at one time and would be happy to play fetch much longer than any of our throwing arms can hold out. Dewey came to us from a home with kids and will need to go to a home with a fully-fenced yard and no kitties.